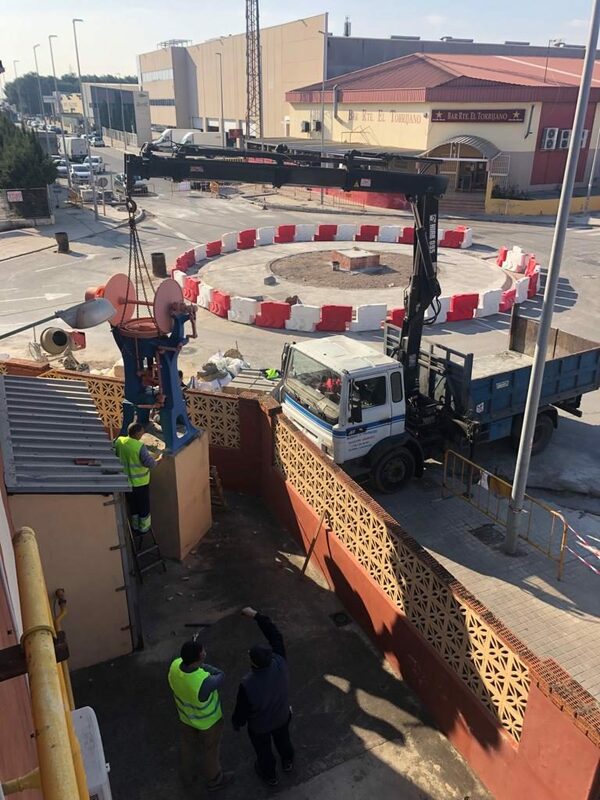 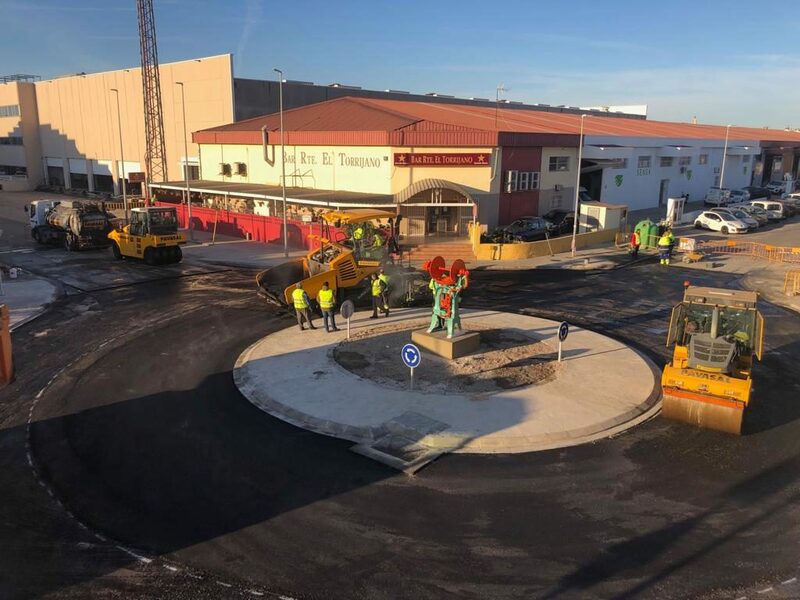 Last week, a long-awaited project was completed by the companies of the Catarroja Industrial Park: the traffic circle located in front of our facilities, which significantly improves the safety of the crossing. 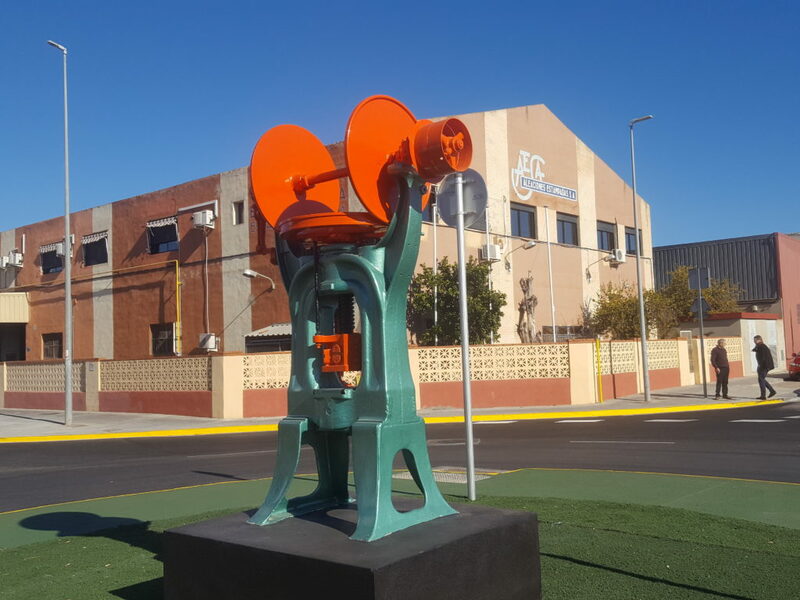 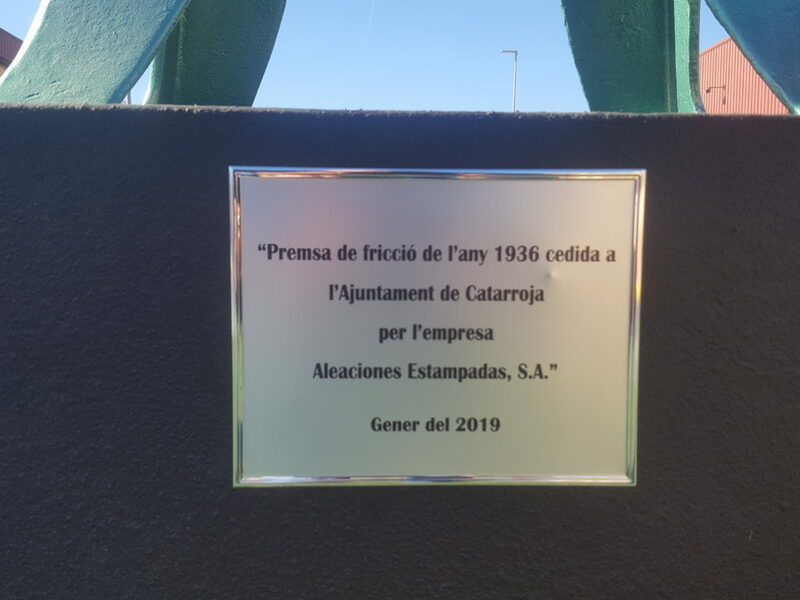 To crown the traffic circle, our company offered to the Town Hall of Catarroja the oldest Press that symbolizes the beginnings of Aleaciones Estampadas S.A. in the 70s: a friction press of 1936, which had been working for AESA for many years, since our beginnings. 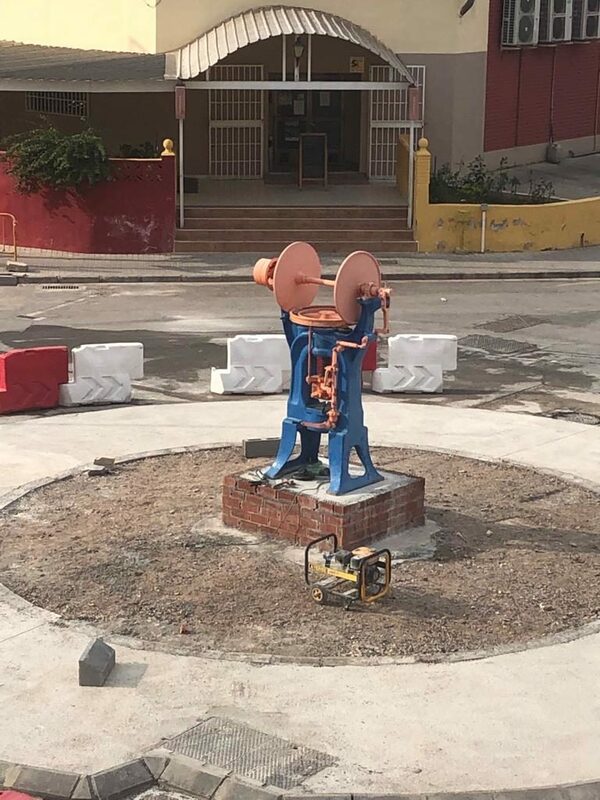 With this Press AESA began to hot forge of pieces for the sectors of taps, lamps and fittings for construction and furniture. 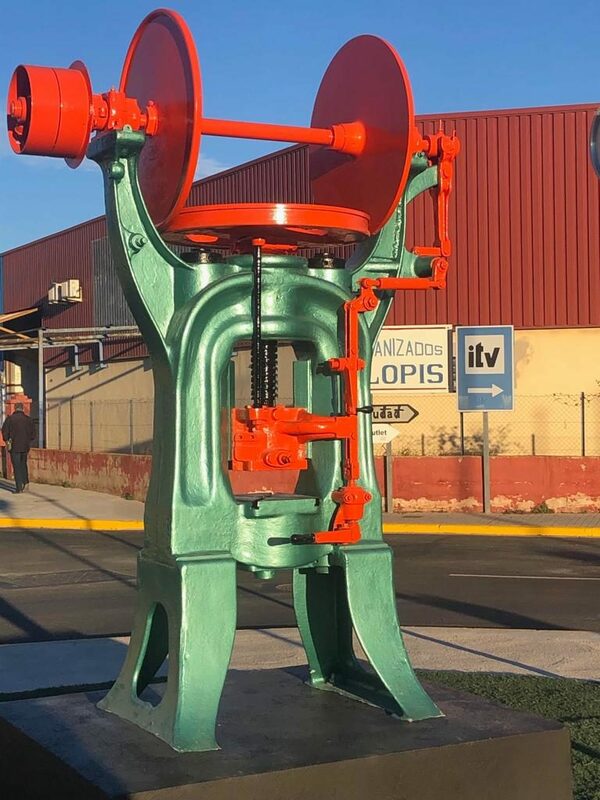 In Aleaciones Estampadas S.A. – AESA, an Aluminium forging suppliers company, we are at your disposal to manufacture your products, by forging and machining lightweight alloys (aluminum, magnesium, titanium) for Automotive parts, Railway parts, Naval parts, Valves, Electrical appliances and other industrial components.